Can Dogs Eat Bananas? Any Health benefits or dangerous? Yes, bananas are actually good for dogs; banana chips are good for dogs as well. But just like any other type of human food, bananas should be given in moderation. Bananas are healthy for dogs. The essential nutrients they contain can help meet a dog’s requirement for specific nutrients in their diet. 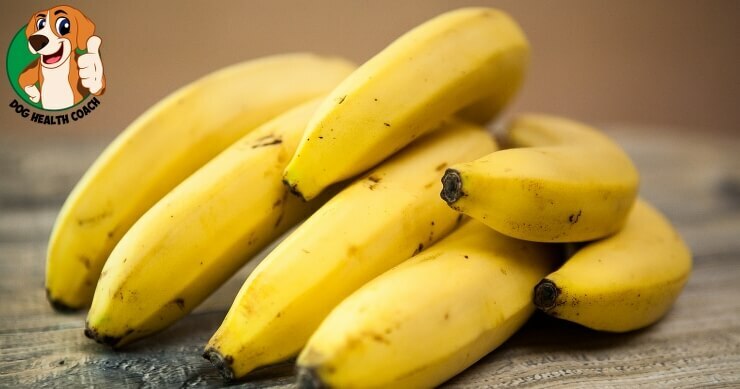 Are there any benefits of bananas for dogs? Bananas are rich in potassium and can be a healthy alternative to high-salt, high-sugar, or fatty treats. 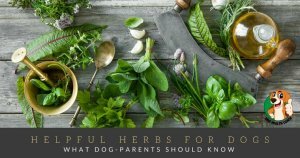 It’s rich in fiber, which can help alleviate symptoms of digestive problems in dogs. Magnesium is an essential mineral which supports bone growth and helps the body’s metabolism of protein and absorption of vitamins. 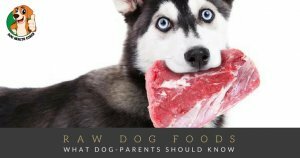 Potassium – while this nutrient is very healthy for dogs, excessive consumption isn’t well tolerated by dogs and can lead to hyperkalemia which is an important predisposing factor to heart problems in dogs. Bananas can be given to dogs suffering from inflammation of the colon (colitis) and for other problems of the intestines. It contains enzymes which can soothe intestinal irritations. 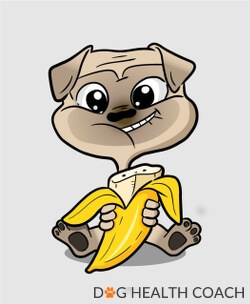 Banana can be given to your dog in several yummy ways! While bananas contain important vitamins, minerals, and fiber, their high sugar content can increase your dog’s risk to obesity and diabetes. Thus they are best given as treats, and not as part of a dog’s regular diet. Too many bananas can lead to constipation. They may not be toxic to dogs, but they are difficult to digest. Bananas can also create blockage along any part of the digestive tract when eaten whole or given in large pieces. When it’s your dog’s first time to eat a banana, make sure to keep watch for any adverse reactions, allergies, and signs of digestive upsets. How much banana is enough? Bananas may be nutritious for your dog but always remember to give them in moderation. Too much may lead to opposite effects on your dog’s digestive system. In general, large to medium-sized dog breeds can be given half a banana several times a week. On the other hand, smaller breeds can do well with only a few small pieces. Yes, puppies can eat bananas as occasional treats. While banana peels are not toxic to dogs, these are difficult to digest. A dog that ate a lot of banana peels can suffer from digestive upsets. Consuming large amounts may lead to blockage of the gastrointestinal tract. Can dogs eat banana chips or dried bananas? Banana chips are a great high-energy treat for dogs. But make sure to choose banana chips that don’t contain preservatives and additives, which can be harmful to your dog; these might be a good choice. Yes, they can, but still in moderation. And make sure that the bread does not contain chocolate, raisins, onions, additives, and other ingredients that are harmful to dogs. If you bake goodies that contain bananas, make sure to avoid adding ingredients that are potentially dangerous to your dog such as raisins, chocolate, pecans, pistachios, or almonds.